Innovation, will it fall from the sky? There is a myth, and maybe it is a true story, but only you can decide this. The story is based on the years during and after World War II in Melanesia. And if you don’t know Melanesia, it’s the whole archipelago from Polynesia to Micronesia including nations such as Papua New Guinea, the Solomon Islands. During this time period, vast amounts of military equipment and supplies, that both Allied forces and Japanese airdropped to troops on these islands, meant drastic changes to the lifestyle of the islanders, many of whom had never seen outsiders before. Manufactured clothing, medicine, canned food, tents, weapons and other goods was dropped from aeroplanes in vast quantities for the soldiers. The soldiers often shared their supplies with the Islanders who were their hosts and guides. Then the WWII ended. The troops disappeared. And the Islanders waited. They were so sure the supplies, when they arrived, would change everything. They waited for sixty years. They waited till death. The supplies delivered from the sky had ceased. In these years, they could have gone out to find their own treasure, but instead, they died waiting for someone or something else to change their lives. It is from this story that the saying ‘Cargo Cult’ is derived. 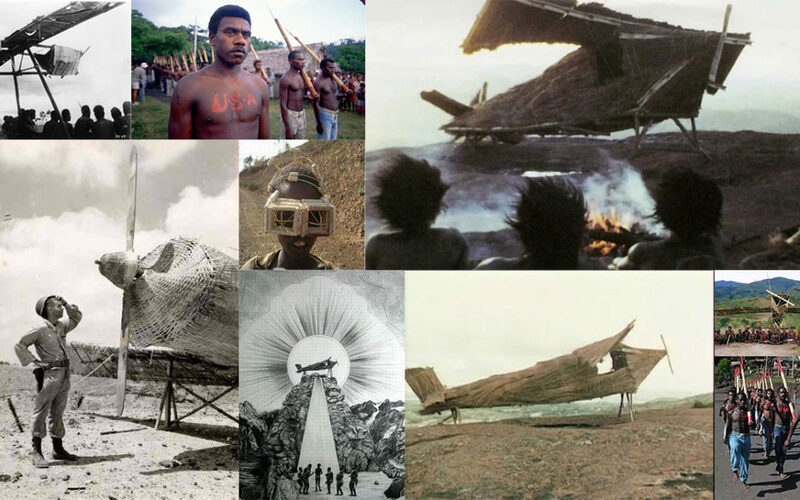 You may not have heard the exact phrase ‘Cargo Cult’ before, but you will certainly have heard the word ‘Cult’. A cult is a fanatic religion or devotion directed towards a particular figure or object. A Cult can also be a person or thing that is popular or fashionable among a particular group or section of society. 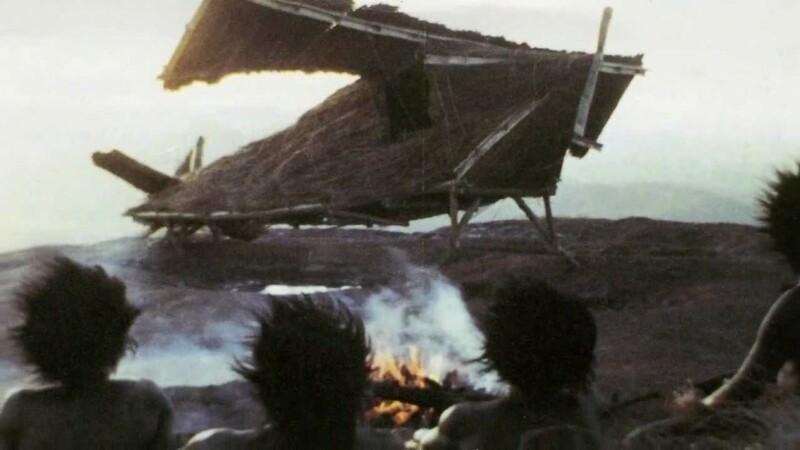 A Cargo Cult is similar, except that it is a Millenarianism movement. Millenarianism is a movement where a particular group, either religious, social or political, believe that something major is coming, something so huge that it will transform society. Once this thing has arrived, they believe that everything will change. You can almost imagine the tribes. Sitting, dignified, on their beaches, waiting for new supplies to fall from the sky. Waiting for the aeroplanes and boats to deliver new treasure. Naturally the tribes thought - if you build it, the supplies will come. So, aeroplanes and air towers made from bamboo, straw and twigs started to rise from the jungles across the region.Today, we use the words Cargo Cults in the corporate world. Many companies think that if they follow a certain way, everything will change, everything will be okay. But following, or waiting, is very often THE WORST THING TO DO. Waiting did not work for the people of Melanesia and the probability is, it won’t work for you in today’s fast paced (and accelerating) world of innovation and disruption. The lesson of this story, is that, INNOVATION NEEDS TO COME FROM WITHIN. Rather than borrowing practices from great innovators, or waiting for them to fall from the sky, your company (your tribe) needs to find its own practices. You can certainly look at great innovators, and there are many extraordinary innovators out there - Google, Apple, Tesla - but they all came up with their own brilliant ideas. They did not wait for them to be delivered. They developed their own cargo. They found what worked for them. They took chances and they took risks. Sometimes, the most extraordinary companies, perhaps your’s, forget to look within. Yes, look for inspiration from the successful companies, but don’t let it end there. Don’t be like the Melanesians chasing yesterday’s planes and waiting for the brilliant ideas. Enter End of Work will help you find your brilliance. We will guide you and facilitate you through the process of thinking creatively. Contact us and we will send the planes rockets. 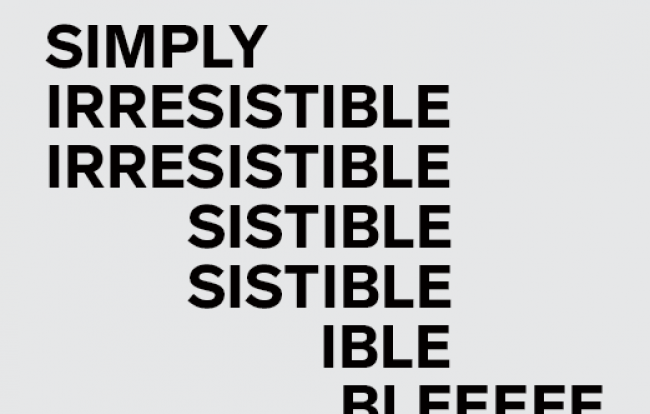 Want to make your organisation irresistable? Creating a more proactive and structured approach to innovation. 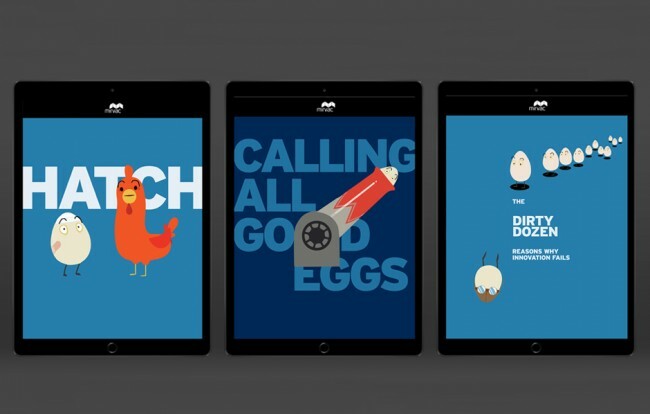 'Hatch' is an Innovation culture initiative for Mirvac.